There are many mysteries in our world, from Crop Circles to Sasquatch, but some run deeper into our collective past than we can imagine and are older than time itself. Today, we are finding undiscovered pyramids, lost cities and epic sites, strange man-made objects and more, buried deep within the mysterious layers of the Earth's past. New discoveries abound and it appears we have barely scratched the surface of what lays ahead in reclaiming our ancient history. This comprehensive multi-feature set contains the culmination of decades of intense, cutting edge research from some of the world's leading authors into these Ancient Mysteries of our long forgotten past. With every decade, a new discovery of ancient structures on the ocean floor emerges. Is Atlantis a legend, myth, or the missing link to human history? 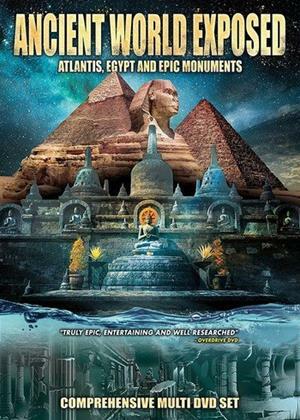 Explore the mystery of Atlantis and discover the enigma that has captivated the world since the time of Plato. Startling new evidence regarding the origins of civilization traces mankind's ancient roots back to a remarkable site with definitive evidence that civilization emerged from a very different origin than we are led to believe.